Provide comfort for the family of Theodore Bastian with a meaningful gesture of sympathy. Theodore “Ben” Bastian, 94, surrounded by his family went to be with his Lord and Savior April 5, at his home in Burns. He married Bonnie Gaston on September 5, 1945. They spent their lives in the ranching and farming business. They enjoyed bowling, square dancing, and couples bridge club. Ben and Bonnie wintered in Florida for several years. They especially loved spending time with their family. He is a Past Master of the Masonic Lodge 41 in Burns and was a member of the order of the Eastern Star 47. He was a lifelong member of the Burns Presbyterian Church. Ben is survived by children, Ted Bastian (Jeanette) of Burns, Suzanne Smith of Cheyenne, and Jeff Bastian (Gloria) of Garland, Texas; grandchildren, Curt Bastian (Concitta) of Burns, Lori Romsa (Scott) of Burns, Mike Smith (Stephanie Irwin) of Wellington, Colorado, Robin Lockman (Rex) of Cheyenne, and Zachary Bastian (Ariel Earls) of Little Elm, Texas; seven great- grandchildren; and two great-great grandchildren. He was preceded in death by his wife Bonnie, and his parents, and son-in-law Glenn Smith. He was very kind and patient and will be missed by all his family and friends. Funeral Services with military honors will be 11:00 a.m. Friday in the Lakeview Chapel at Schrader, Aragon and Jacoby Funeral Home with a reception to follow in the Schrader Reception Center. In lieu of flowers memorials may be given to the Burns Presbyterian Church, P.O. Box 246, Burns, WY 82053. 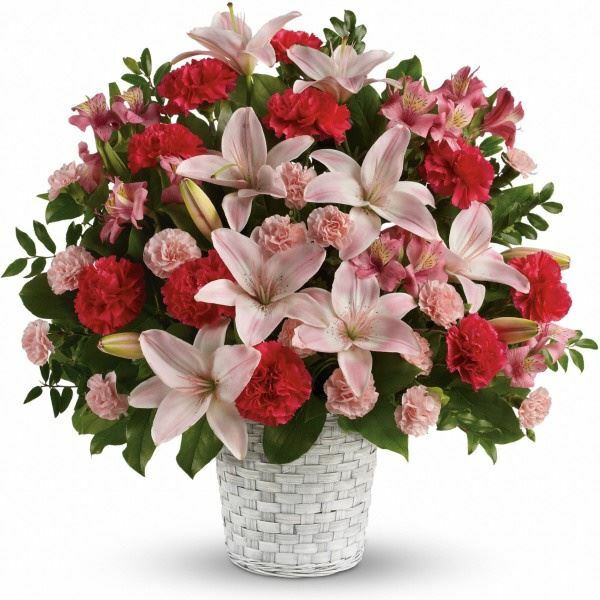 To send flowers in memory of Theodore "Ben" Bastian, please visit our Heartfelt Sympathies Store. Dajuana, Derrick, Nia and Nathan Forte, Your Vizient Family, and others have sent flowers to the family of Theodore "Ben" Bastian. Prayers and thoughts to you all. I never saw Ben without a smile on his face! So sorry I can't be there for the service. Dajuana, Derrick, Nia and Nathan Forte purchased the Sweet Sincerity for the family of Theodore Bastian. Your Vizient Family purchased flowers for the family of Theodore Bastian.